JNU 2019 Application Correction will be Started on 22nd April 2019. 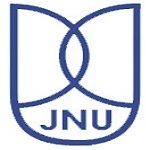 JNU is referred to as Jawaharlal Nehru University; it came into existence in the year 1969. Candidates can get admission in a wide range of courses in the field of computer science, engineering, arts & humanities, life science, etc. JNU Entrance Exam Dates 2019 has been Announced. The Exam will be held on 27th, 28th, 29th, 30th May 2019. From the Year 2019, NTA will conduct the JNU Entrance Examination 2019. Candidates who clear the JNU Entrance Exam 2019 (JNUEE) can get admission in various courses offered by JNU. This exam is organized by the CEEB exam for admission in biotechnology courses. Here we are providing details about JNU Admission 2019 including Application Form, Exam Dates, Exam Pattern, Syllabus, Admit cards and Preparation Tips, Etc. JNU 2019 Application Correction will be Started on 22nd April 2019. Click Here to Check Application Correction Details. National Testing Agency (NTA) will be conducting the online entrance examination for admission at (JNU) from May 2019 (CBT Mode). Click Here To Check Exam Dates Details. Candidates should know the critical date JNU entrance exam 2019. Important entrance exam events like Application form release, Last date to submit the application, Application correction window, Admit card available, and Date of exam, etc. Here we are providing the JNU Important Date 2019. JNU 2019 Application form has been Released on 15th March 2019 and the Last date to submit the application Form on 18th April 2019. Before maturity date candidates have to send the filled application form. JNU 2019 Application Form has been Released on 15th March 2019. JNU 2019 Application Form can be filled till 18th April 2019 Extended. After filling all details, candidates have to upload the scanned images of photograph and signature in the prescribed format. If candidates want correction or want to change any details, the university will also provide the correction facility in with the application form. No need to send the printout of the filled application form to the university. All candidates have to pay application form fees. Payment can be made through online mode only. Check application fees according to category wise. Payment will be made via debit card, credit card, and net banking. All candidates must check the JNU 2019 exam eligibility criteria. Before filling application candidates must read full criteria, sometimes candidates ignore the criteria which affect them at time of registration. BA (Hons) 1st year 12th or equivalent exam with a minimum of 45% marks. The JNUEE 2019 Exam will be held in May 2019. Candidates must check all details regarding JNU 2019 entrance exam. Different courses have different criteria, syllabus and exam pattern. Below is provided exam pattern of various courses. 0.25 mark deducted for the wrong answer. BA (Hons) 1st year in Foreign Languages The question paper will be asked in the English language. Candidates have to prepare for JNU 2019 Entrance Exam, According to the Syllabus, different Courses have a different Syllabus. 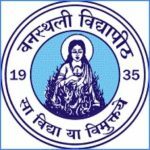 For MCA question asked will be General aptitude, reasoning and 10+2 and Bachelor’s level mathematics and Computer Science, M.Tech in Computer Science and Technology-General aptitude, reasoning and Bachelor’s/Master’s level Mathematics and Computer Science. M.Sc in Life Sciences- there is no specific syllabus designed. Candidates can follow the UGC approved syllabus in their respective subjects for guidance and in BA (Hons) 1st year in Foreign Languages question asked will be from general knowledge, artificial language, short essays on issues related to the subject. General aptitude, reasoning and 10+2 and Bachelor’s level in mathematics and Computer Science. 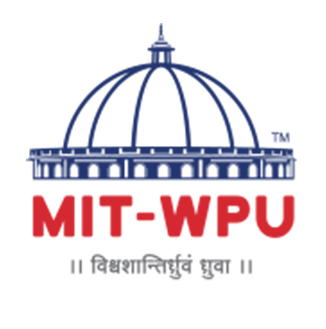 General aptitude, reasoning and Bachelor’s/Master’s level in Mathematics and Computer Science. The part A will comprises General aptitude, reasoning, and Bachelor’s/Master’s level in mathematics, Statistics and Computer Science. Part B will contain topics from data science/data communication stream. It will contain topics like Microeconomics, Descriptive Statistics, Problems of Economic History, Underdevelopment and Growth, etc. Firstly, gather all the details about the officially prescribed exam pattern and syllabus JNU 2019. Prepare a proper scheduled as per your suitability. Candidates must practice from the best reference books. Candidates can solve question from previous year question papers. Through this candidates will get familiarize with the exam pattern and questioned asked mostly. Revise all topics from the chapter to the end. JNU 2019 exam Admit Card is available through online mode. Admit Card will be Available on 22nd April 2019. On the official portal through online mode candidates can download admit cards. Candidates must carry the admit card along with a latest passport size photograph at the exam center. Keep admitting cards safe until the completion of the exam. Candidates who appear exam can check their results through online mode only. Authority will publish the JNUEE result 2019 on the 18th June 2019. Merit list will be prepared on the basis of candidate score marks in the exam. A Merit list will be the issue 0n the 18th June 2019 (for nonviva courses) and 8th July 2019 (for viva voce courses). JNU 2019 Admission Procedure will start after the score declared. JNU admission process will start from the 20th to 30th June 2019. Merit list will be prepared on the basis of candidate score marks in JNU 2019 exam. Candidates invited for counseling have to participate and have to register for admission. While attaining counseling candidates require to submit documents along with photocopies at the time of admission. Candidates are provided exam centers of JNU of the year 2018 along with the state and center codes below. When will the application form for undergraduate course in jnu will be released? 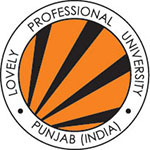 I am working as an Associate Professor in Haryana. Please reply if I can apply for PhD in English. Does JNU have B.Com(hons) course?